Prepare IGCSE in Ho Chi Minh City ! 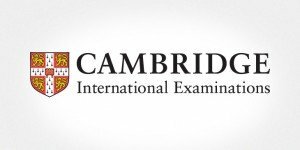 Cambridge IGCSE (or International General Certificate of Secondary Education) is a diploma for students from 14 to 16 years old who may be passed in more than 9000 institutions in approximately 160 countries. Well-recognized around the world and serving as a reference to international universities for their recruitment, the IGCSCE appears quite unavoidable in Vietnam. French : Foreign Language (0520) : This exam is intended for students learning French as a second language. French : First Language (0501) : This exam is designed for native students for whom French is the mother tongue or main language. French : A Level Only (9716) : Of a more advanced level, it prepares the entrance in university. French : Literature (AS Level only) (8670) : Specialized in French literature, this course is meant for future literature students. As for the preparation of all other exams, L’Atelier follows your child throughout the year to build month after month strong skills in French, adapting to the nature of the exam to pass: Written, oral, or both, on MCQ or more demanding writing tests.